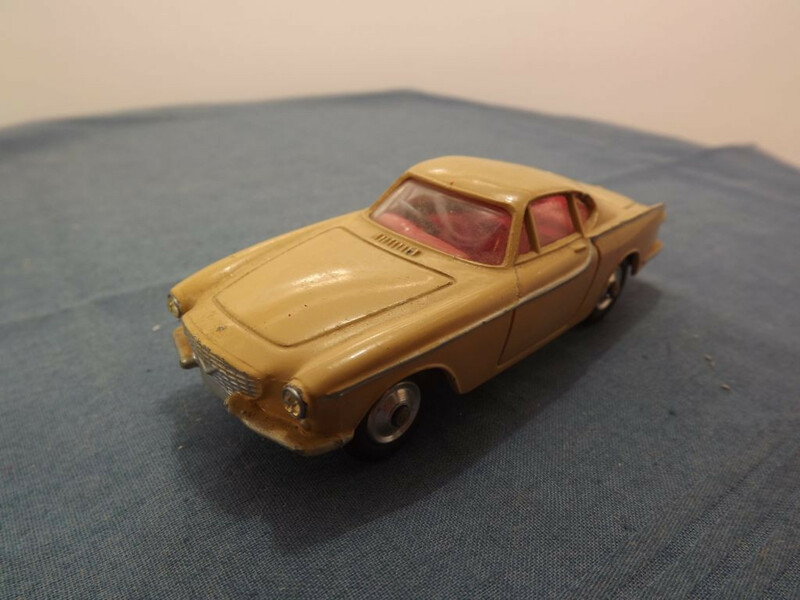 This model is the Corgi 228-A-1 Volvo P-1800 in tan. There are no opening parts on this model. The front lights are represented by yellow jewel lenses inset into the body casting and the rear lights are painted red spots. The front and rear bumpers and grille are picked out in silver and the sides carry a silver body trim line. 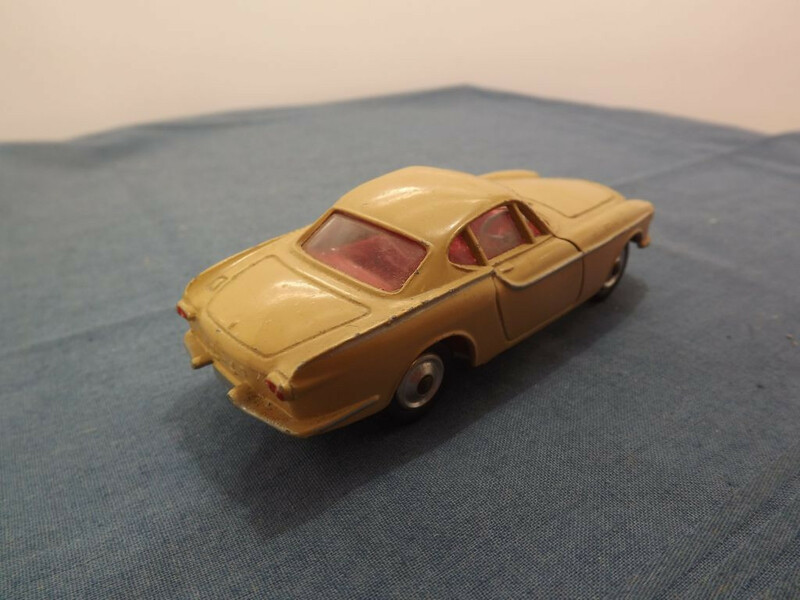 The interior is a red plastic vac-form with a right hand drive silver plastic steering wheel. The glazing is clear all round. All wheels are of the shaped type - solid one piece spun metal hubs with a separate black "rubber" tyre. 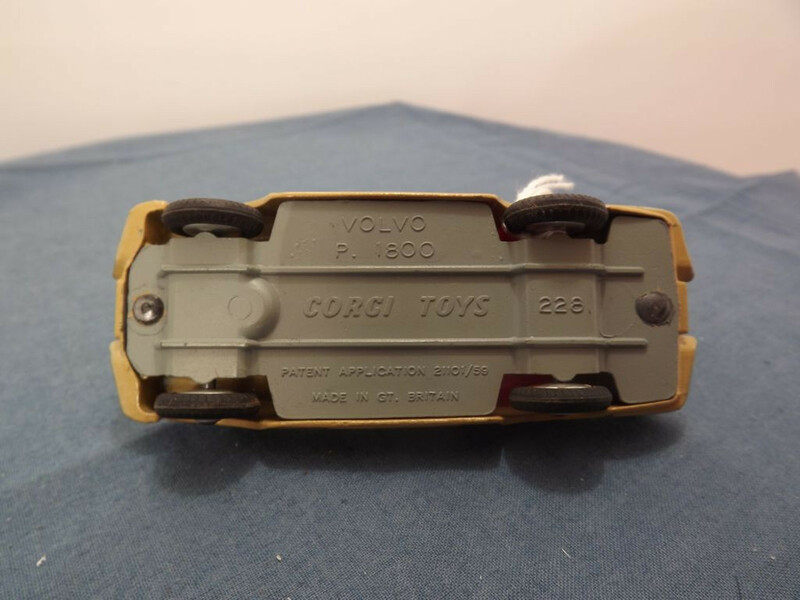 The base plate is grey painted metal and is marked with "Volvo P. 1800" at the centre top on two lines, CORGI TOYS in the centre middle and "Patent Application 21101/59" and "Made in Gt. Britain" on two lines at the centre bottom. 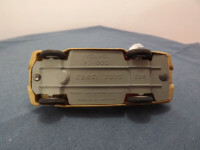 The base plate is held in place with two machined rivets. This model was issued between July 1962 and 1965.